The Street department provides year-round street maintenance. Minor street repairs, snow removal, street cleaning, and other services are performed by our staff. Maintenance of the storm water system is also an important role for the employees. The Street Dept. may also support the work of Sanitation crews for the Spring Clean-up, maintenance of the Greet Waste Site, and other jobs that require use of heavy equipment. In most emergencies, the Street Department responds to meet the needs of the City and its residents. 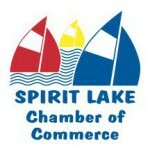 The City of Spirit Lake has 46 miles of streets maintained by the Street department.